What’s up ? This is THE stephane ANDRE. I watched an Athlean-X’s video and I learned some good stuff. 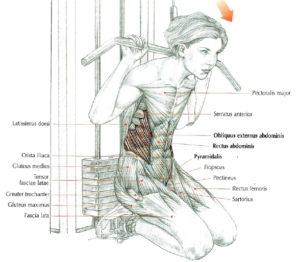 I have a little pain when I do dumbbell press or overhead shoulder press, maybe you have that pain too ? As I want to avoid having surgery like the majority of professional athletes, I tried to find out if I could find an alternative exercise to work the same muscles without pain. 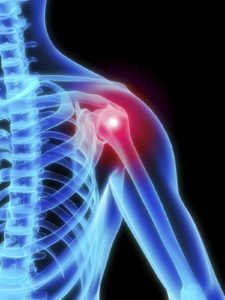 This shoulder pain during this exercise is a real problem, because it’s a movement that is so advised to do to develop shoulders that the majority of people continue to do despite the pain. 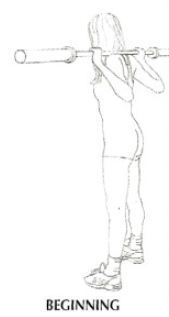 The longer a person continues to do this exercise with the pain and the more the person, several years later, will need to do a surgery to the damaged shoulder. It’s sad because people keep doing this exercise because they don’t know (like me at the beginning) that there are alternative exercises. For me, I felt the pain at the starting position, it means with a dumbbell in each hand, dumbbells at the level of my ears or a little above my shoulders and my elbow at the outside. It was impossible for me to keep this position for more than 5 seconds and after a few reps, I felt less pain. A few months later, I changed the starting position. I started with my arms outstretched but the pain was still there. The feeling of pain is really bizarre because sometimes, I felt that my shoulders could be dislocated with heavyweight. The idea is to do this exercise with the elbows forward because the pain is due to instability of the rotator cuff. In fact, this pain appears on the weakest shoulder. 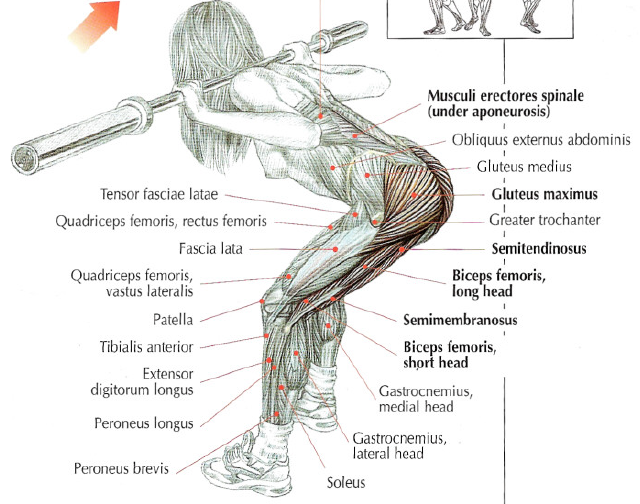 Lift the barbell with your 2 hands with a squat position to protect your back. Stand up with your torso leaning forward, your back straight, one leg forward and your hands almost on your torso with your elbows forward. You can also do this exercise with one hand. 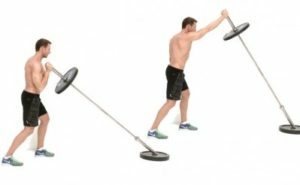 Barbell corner press is an alternative exercise to dumbbell press or overhead shoulder press to continue developing your shoulders without pain and without sacrificing your shoulders. 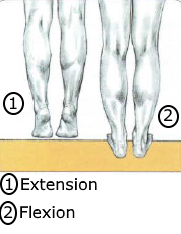 Do an extension of your feet with of your knees joints in extension. 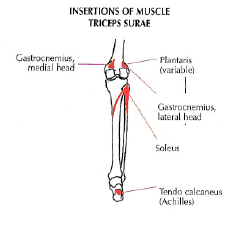 This exercise works the triceps surae composed of 2 gastrocnemius and soleus. 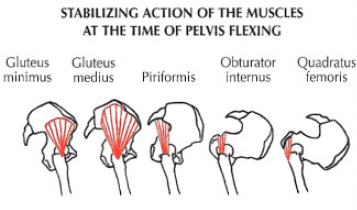 It’s really important to do each repetition with a full flexion to really stretch the muscles. In theory, it’s possible to locate the work on gastrocnemius medial (toes outward) or gastrocnemius lateral (toes inward) but, in reality it’s very difficult. 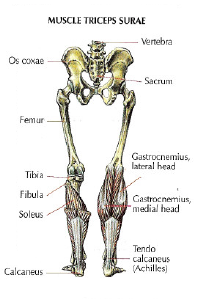 However, you can easily shift the emphasis from the gastronemius to the soleus by flexing your knees to relax the gastrocnemius. It’s possible to do this movement with the Smith machine and a step under your feet. 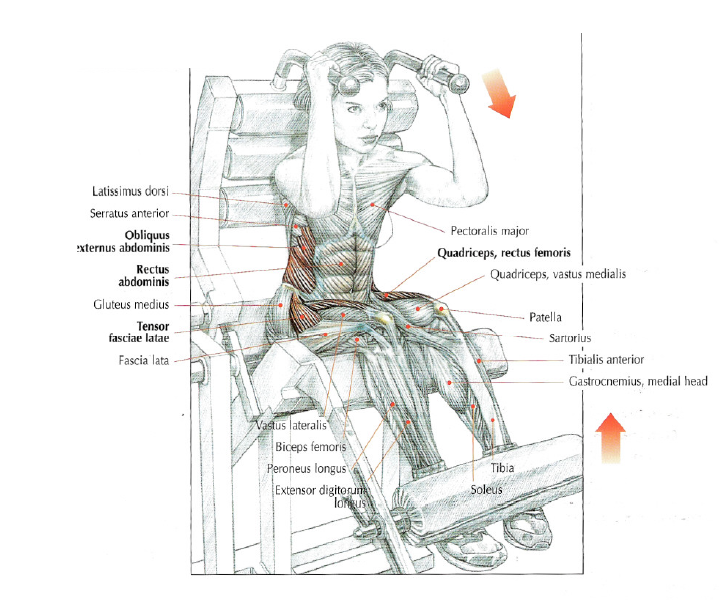 Triceps surae is a very powerful muscle that is used to lifting your bodyweight all day. It’s for this reason why it’s important to use heavyweights to work it. Slowly flex your feet to stretch your calves. 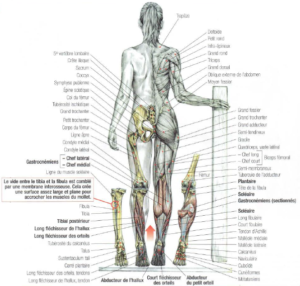 Extend your feet with your knees extended or slightly bent. It’s a movement to be done slowly and with high reps until the burning sensation. 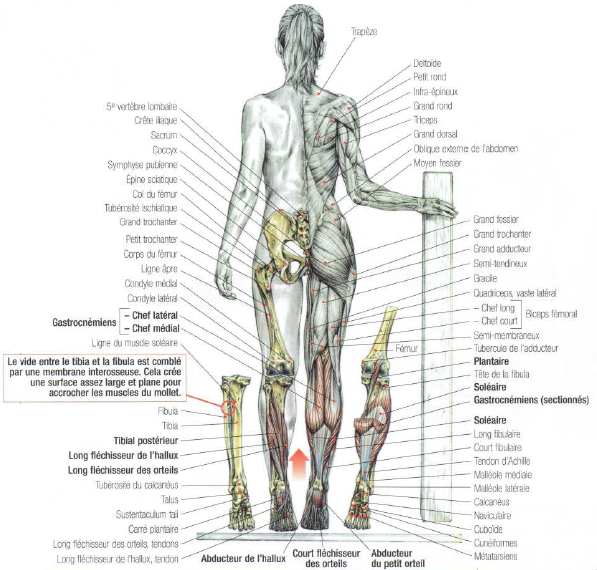 This exercise has an action of stretching and muscle contraction. It’s for this reason that this exercice can be used as a warm up before a calf exercise with heavyweights, to avoid injuries, or at the end of the session to feel the pump. This exercise works triceps surae composed of 2 gastrocnemus and soleus and also flexor hallucis longus, tibialis posterior and flexor digitorum longus. 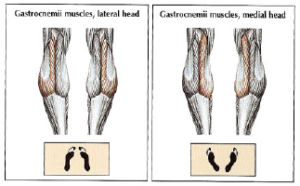 This movement is excellent for stretching the muscles of the plantar surface of the feet like flexor digitorum brevis and quadratus plantae and soften plantar faschiitis. Share this article if you think if can help someone you know. Thank you. 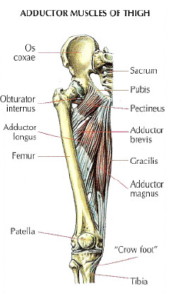 This exercise works all the adductor muscles (pectineus, adductor longus, adductor magnus and gracilis). 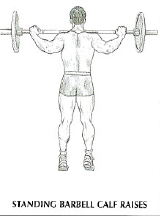 This exercise allows lifting weights heavier than cable adductions but the range of execution is smaller. Do sets with high reps until the burning sensation give excellent results. 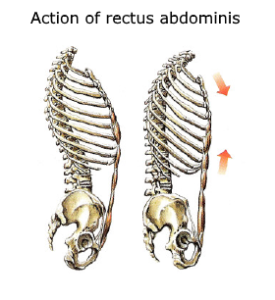 This exercise can be used to strengthen the adductors because it’s a muscle group is often hurt during a violent effort. This is why it’s advisable to gradually increase the weight when you do sets with heavy weight and do stretching exercises after the session. Inhale and bend you torso forward to the horizontal with your back straight, the axis of flexion passing through coxofemoral joint. Back to the start position and exhale. It’s possible to make the movement easier by bending your knees. This exercise works glutes (gluteus maximus), all spinal muscles and hamstrings (except the biceps femoris short head). Besides the knees flexion, hamstrings have the function of retroversion of the pelvis, which allows to straighten the torso. This action performed when the torso bound by isometic contraction to abs and sacro-lumbar muscles. 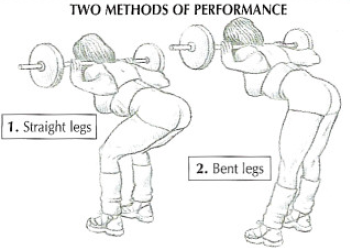 To have better feeling on hamstrings, it’s advisable never to work with heavy weight. In negative phase, « good morning » is excellent for stretching the back of the thighs. Work regularly the negative phase of the « good morining » helps prevent injuries to hamstrings during the squat with heavy weight. Legs stretched while your torso leans forward, extends hamstrings. 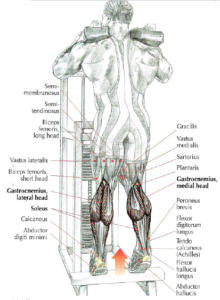 This make is easier to feel sensations of hamstrings when you straighten up your torso. Legs bent while your torso leans forward, relax hamstrings. 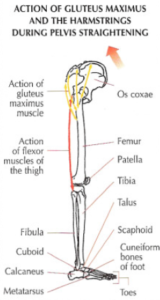 This facilitates flexion of hip.